Thinner and Lighter than plastic jewel cases. TRIMpak weights about half as much as a jewelbox and requires 60% less room. Simply place a disc inside and lock it into place with an easy snap. 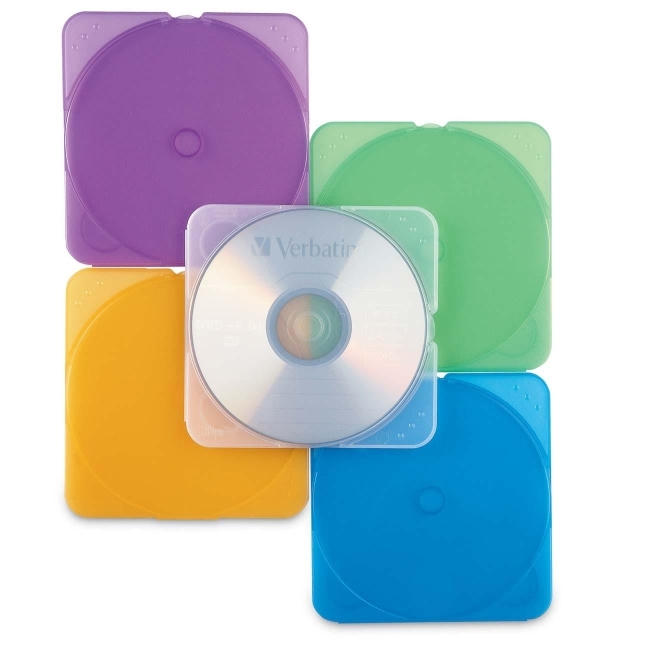 Verbatim's TRIMpak comes in five translucent colors.